Waffle On About Magnum P.I. 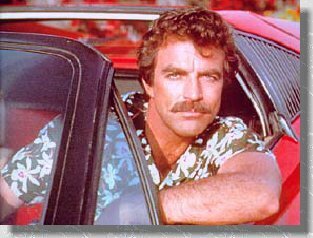 Welcome to this edition of Waffle On Podcast and this time we waffle on about the classic 1980's American show Magnum P.I. It starred moustached legend Tom Selleck and ran from 1980 to 1988. Set on the island of Hawaii Magnum lived at the beautiful beach side residence of writer Robin Masters. Tasked with detective work from the owner, Magnum would often be seen driving the house car a Ferrari 308 GTS around the island and annoying house master Higgins. Hope you enjoy the episode, remember you can email us at waffleonpodcast@gmail.com with comments or suggestions and join our Facebook group simply type in waffle on podcast in the search bar if you fancy it. Cheers.